PANDORA co-develops the exact focus of its research together with stakeholders from the fishing industry, producer organisations, NGOs, fisheries management, politics and decision-makers in regional workshops. Such workshops will take place in all PANDORA Case Studies between early March and late May 2019. The main points for discussion are biological/ecological developments in fish stocks and current issues in the management of different regional fisheries. 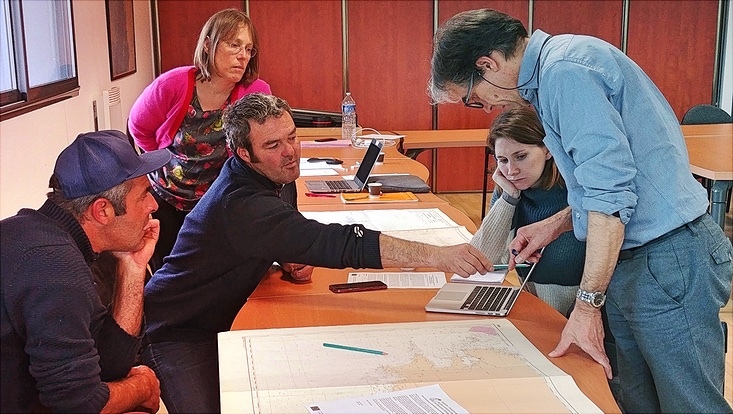 In early March, a small team from PANDORA project partner Ifremer set out on a journey to Quimper/Bretagne for the project’s first regional workshop. PANDORA was represented by fisheries scientists Verena Trenkel, Pascal Lorance and Pierre Calvy from Ifremer as well as Vera Köpsel from the University of Hamburg, who is coordinating the project’s stakeholder engagement activities across Europe. They met with hand-line blackspot seabream fishers and a representative from the producer organsation Pêcheurs de Bretagne. The workshop in Quimper covered two main topics. Firstly, the project scientists discussed the results of last autumn’s stakeholder survey on biological developments and regional issues in fisheries management with the participants. This discussion will serve as the basis for PANDORA’s future research in the Bay of Biscay. The second half of the get-together was used to plan a stock survey that will be conducted in close cooperation with the local fishermen. Its goal is to estimate the biomass of blackspot seabream in Bay of Biscay waters via acoustic sampling. During the workshop, technical questions regarding the equipment and sampling area were discussed using digital and printed sea maps. This first regional PANDORA workshop will be followed by more stakeholder meetings in our other Case Study areas. Next on the agenda is a meeting with fishers from the Strait of Sicily in mid-April. All workshops will be announced via our event calendar. 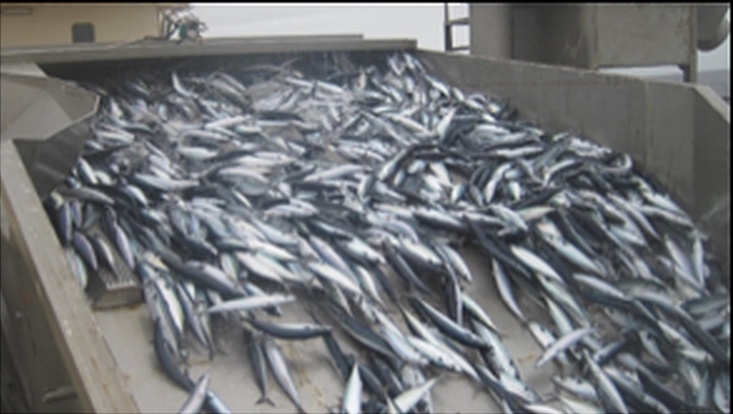 If you are a stakeholder from the fisheries sector and would like to participate in a PANDORA workshop in your region, keep your eyes open for announcements via the website or Twitter. You can also get in touch directly with our stakeholder engagement coordinator Vera Köpsel. Sign up to the PANDORA stakeholder database here to receive updates about events and project news!